If you’re not in the loop it’s a chance for bloggers to share their weird, wonderful and amazing experiences with you – although narrowing it down to a top 3 is definitely a tricky business! They then nominate who they wish to pass the baton to and the blogging team with the biggest chain win a heap of awesome techy stuff to make up smile heaps! It had always been one of my life long dreams growing up to head to Oz, buy a van, chuck a bed in the back and live a true nomadic lifestyle of catching fish, cooking epic BBQ’s and waking up in a random car park! Seriously since I was like 8 or something! 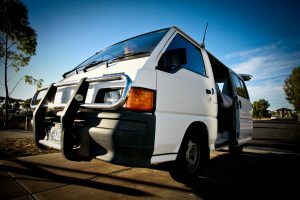 When I finally got to Australia I got straight to it – hiring a van with 8 random backpacker and campervanning Perth – Darwin, but it was missing something – surf. So when I landed on the east coast I bought my own van – I strapped a 9 foot longboard to the roof, built a make shift kitchen, shoved a bed in the back, a girl in the passenger seat and proceeded to surf and travel my way up the coast! It was everything I hoped it to be! 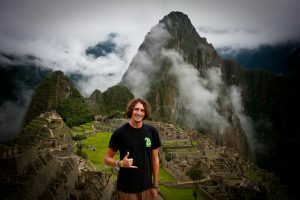 The Inca Trail is pretty much on any backpackers bucket list – and I was stoked to get the chance to do it with G Adventures earlier this year during my month in Peru. The hike itself was a balance or sweat, tears and smiles – it was easily one of the toughest things I’ve ever done but also the most rewarding. I met a great group of people on my (who I’m travelling with again soon) and had an amazing time. Even though the highlight was coming through the sun gate to see the infamous view of Machu Pichu itself I would’ve happily just done the trek – it was heaps of fun! At first I thought picking a top travel experience from all the wonderful places I’ve been lucky enough to visit would be difficult. 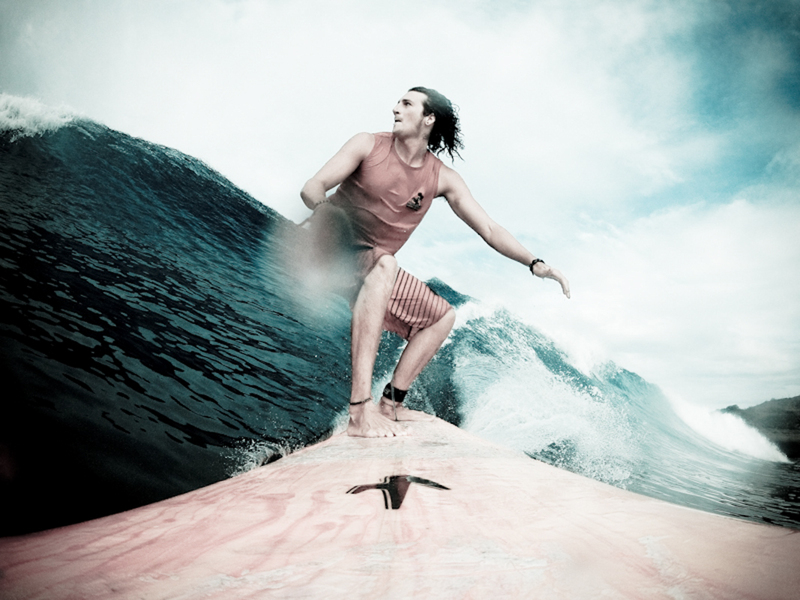 Then I realised there’s one that is the constant backbone of my conversations – with people I meet on the road and also my family back home, and that the time I spent in Ecuador working in my dream job as a surf instructor. It was easily the best job I’ve ever had and was filled with mojitos, waves, sun and a whole heap of crazy people from around the world. Kicking back with Vago the other surf coach we truly lived the dream; waves, babes and bad decisions! And so comes my time to pass the baton on – and I shall be nominating the ever infectious (not in an STI way, I think…!) and charismatic Will (aka @myspanishadv) from My Spanish Adventure – he’s got heaps of stories to tell, so I’m intrigued to hear what tops his list! Van life sounds pretty awesome, wish i’d have gone to Perth now. Machu Pichu is definitely on my hit list, amazing shot. van life is DEFINATELY the way forward, can’t wait to live like that again in NZ! Glad you like the Machu Pichu pic…worth worth every ache, pain and sweaty trekking day to get…please don’t be lame and get the train!haha! of course it did April…love that place and miss it heaps! DO IT KIKI! was soooo much fun! and you dont have to do it in Oz – I really want to do the campervan thing down the coast of Europe too! How much did it cost you in the end to buy Leslie? I assume you split petrol and everything when you picked up other people! Hmmm….off the top of my head Charlie I think it was around £3,500 but when I sold him I only lost around £500 (this was mid winter halfway up the coast so I easily could’ve made my money back if I was a little more organised!haha! There’s a heap of price optiosn available – check out Gumtree.com.au of an idea of what’s out there. My advice to you is not to buy the first one you see and also go with low KM and good service history. Indeed as I picked up people along the way we split fuel and food costs which was a great money saver!